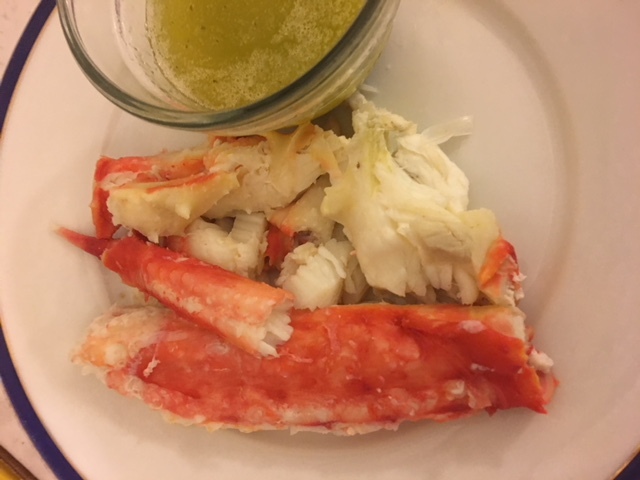 OMG I just heated up some of my new King Crab Legs. They are super easy to work with as they are already fully cooked and flash frozen. Just thaw in the frig overnight or quickly thaw in cool water for about an hour. 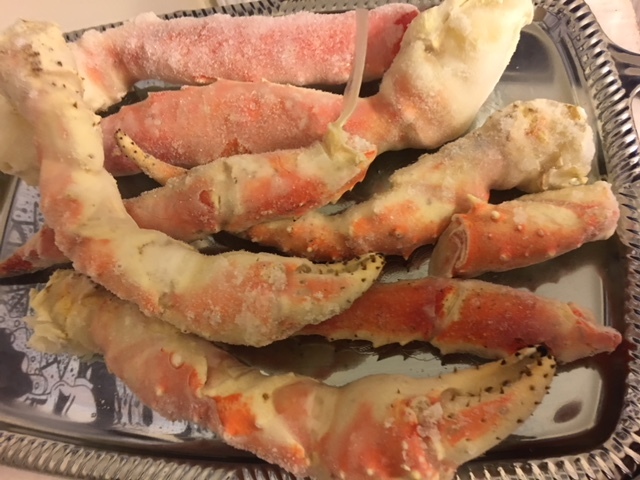 Bring a pot (big enough to submerge the Crab Legs) of water to a boil with salt and then turn off the heat and let the Crab Legs steep in the water for 8 min. The shell is surprisingly pliable and a decent pair of scissors will cut through them with relative ease. Point is- extracting the meat is not a big deal and the meat is succulent. Simply the best Shellfish I’ve tasted. I had some with my melted lemon/garlic/herb butter which is seen in the secondary picture. I’m happy to give you some (no charge) on request.?‍? ?